Get acquainted with the canals of Amsterdam, just in approximately one hour. Explore Amsterdam extensively! Just hop on and hop off where ever you want. Enjoy Amsterdam nice and slow. 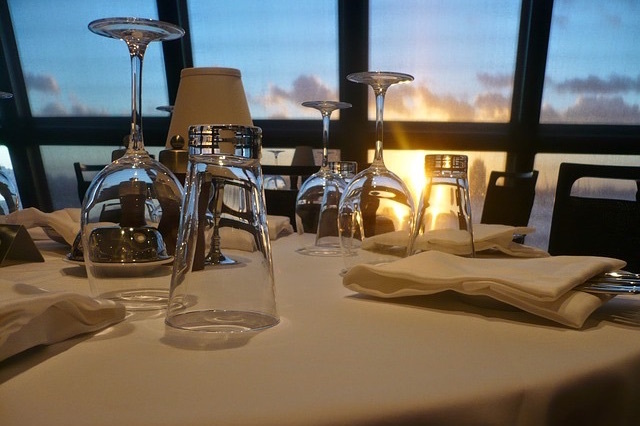 Have a great dinner with the most beautiful views! The city center of Amsterdam is often compared with the Italian city Venice. Just as Venice, Amsterdam has many canals with charming canal houses at the quays. Surprising difference: Amsterdam has more bridges than Venice. You can find more than 1500 bridges in the city! 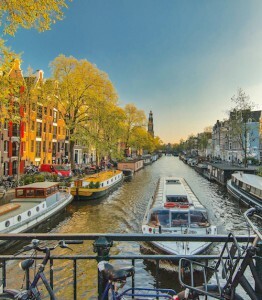 Therefore a perfect way to get acquainted with the city is by an Amsterdam Canal Cruise. You will get a good impression of Amsterdam’s history and its beautiful Canal Belt. The Canal Belt is of great importance for the city and therefore it is on the UNESCO Worlds Heritage list. Actually, you haven’t been to Amsterdam without going on a canal cruise. The views from the boats are absolutely astonishing! 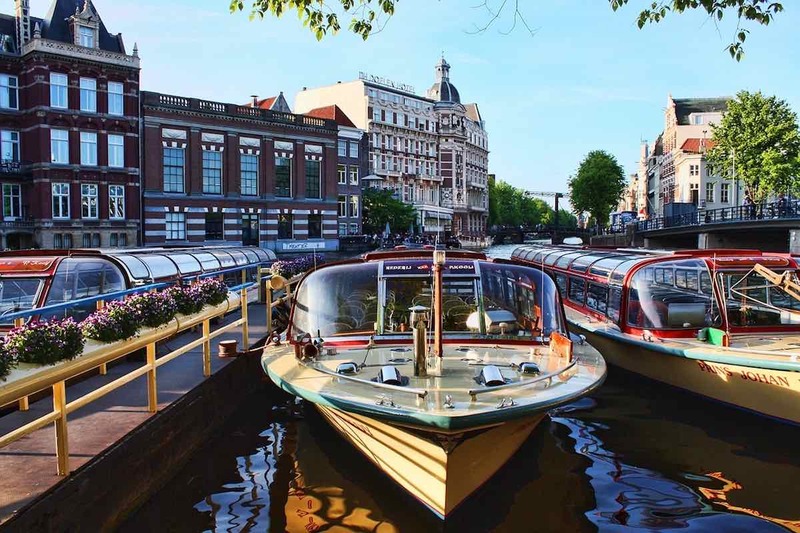 Most boat tours are running through the main canals of Amsterdam, which are: the Singel, the Keizersgracht, the Herengracht and the Prinsengracht. These cruises will pass very interesting sights, with a historical importance to the city. Some of these sights are: the Anne Frank House, the Rijksmuseum, the Westerkerk, the Hermitage. 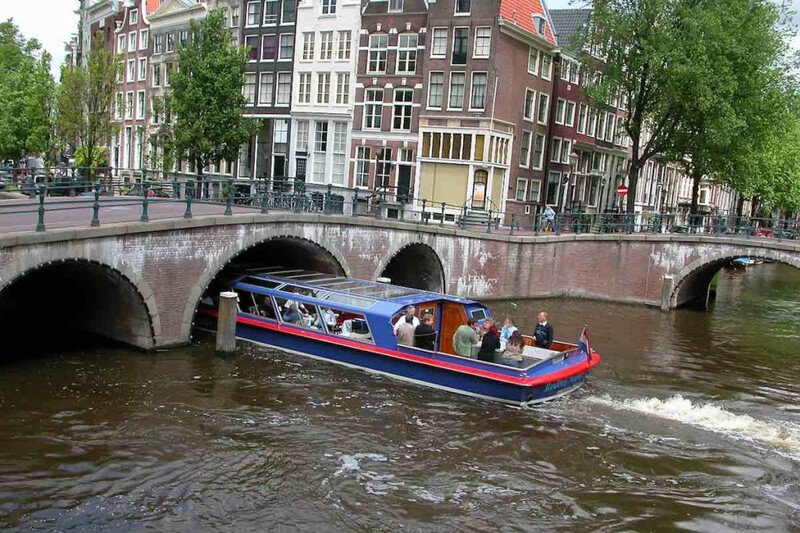 In Amsterdam you can find several companies that are offering these boat tours. These companies offer a variety of canal cruises and are very popular. Therefore everybody can find a tour of their interest. 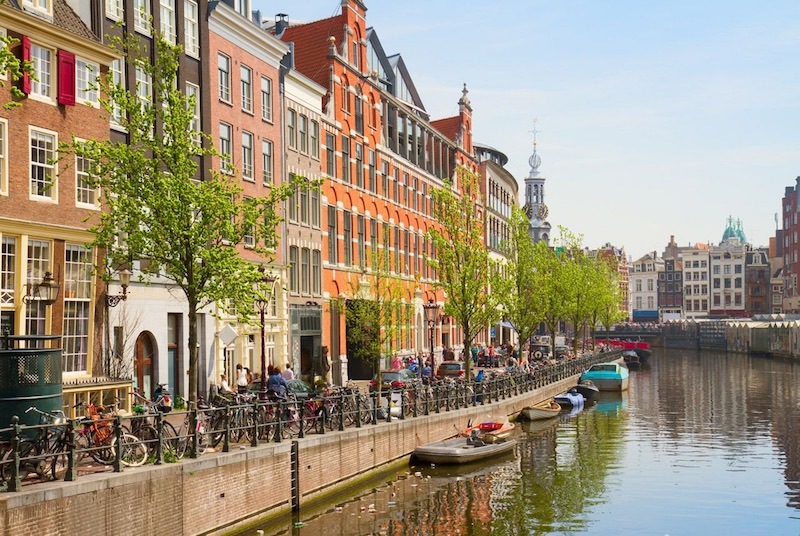 Amsterdam has of course much more to offer than these boat tours through the canals of Amsterdam. Therefore we have published a lot of other and relevant information about Amsterdam and its surroundings, such as: sights to visit, museums, main attractions, where to buy tickets, public transport, places to sleep, festivals, nightlife, places to have a meal, etc.